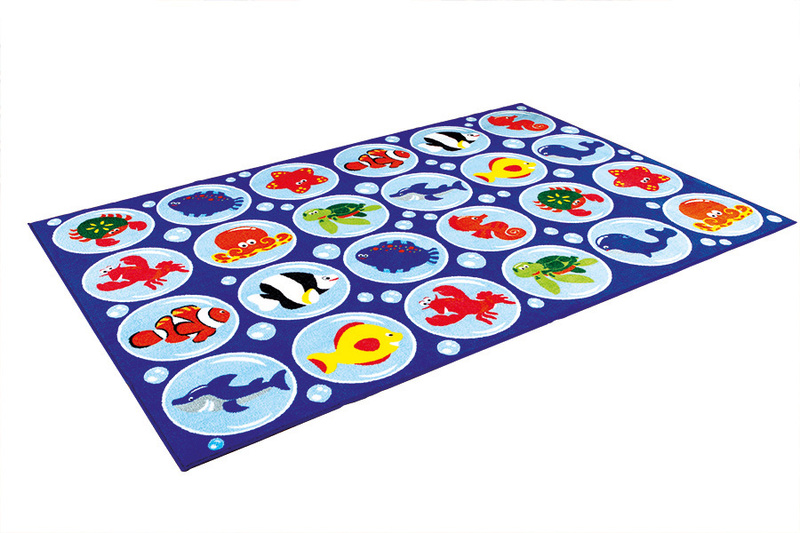 Our Under the Sea classroom carpet is a fun an interactive learning rug ideal for use in schools, pre-schools and nurseries. The rectangular shaped brightly coloured carpet features 24 placement spots for children to sit on during reading time or group learning. It is also great for interactive learning games and learning about different sea creatures. Designed for comfort, the sea themed classroom rug is manufactured using a heavy duty tuf-pile which is a extra thick, soft textured tufted nylon twist pile ideal for classrooms and play areas. The durable and robust rug features a specially designed Rhombus anti-skid latex backing which allows safe and continuous use on any surface. Also available Under the Sea Corner Classroom Rug.